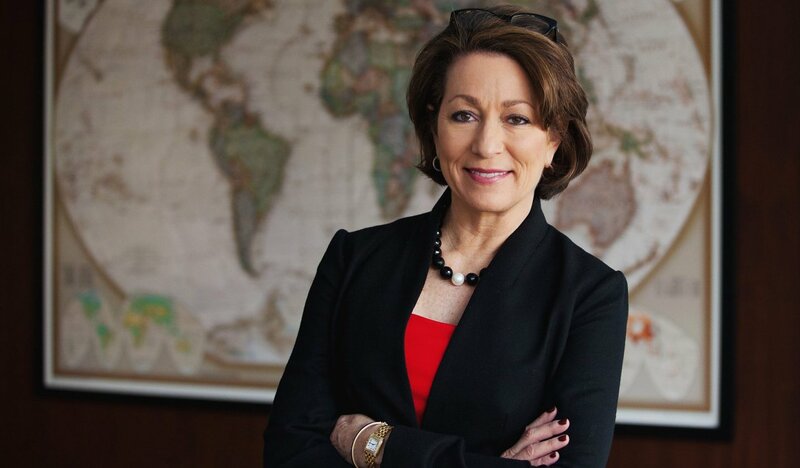 National Geographic's Leader: Northern Michigan "So Magical"
The National Geographic’s first female editor-in-chief will visit Traverse City to speak at an International Affairs Forum next week. The Ticker caught up with Susan Goldberg to talk politics, changing media, and why she loves northern Michigan. Ticker: Please explain your role and what you oversee at National Geographic. Goldberg: It’s really two distinct roles: I am editor-in-chief of the monthly magazine and all across our digital and social platforms, and I’m also the editorial director of National Geographic Partners, which includes all of our journalism ventures across all platforms except television, including our book division, eighteen different newsstand specials each year, magazines, books, maps, and more. Ticker: What’s a typical day like for you in the office? Goldberg: I come out of the newspaper business, so in many ways it’s not that different than it always was. We have meetings, we talk about stories, we make plans for content for today, next week, six months from now. What makes Nat Geo different is we’re talking about a story a year or two from now or in the case of books, two or three years from now. Ticker: Talk about what it’s like to be the first woman in your position. Goldberg: It’s a great honor on many levels; I’m honored and humbled and I know I’m really lucky. But at the same time, when I’m not the first woman this or that we’ll be in a much better place, whether that be in journalism or politics or banking; when it’s the normal course of business instead of some weird thing or an oddity. Ticker: So what’s a burning business issue that you’re facing today? Goldberg: In an hour we’ll be discussing what we often do: our business model. We are a so-called legacy print media outlet. We have a very successful print brand, but where our biggest growth is coming from is our digital platform, which is growing like crazy. As much as I love print and 55 million readers of our magazine love print, the growing part of what we do is digital. So the burning issue is that digital is making more and more money but not enough to really produce the content we need to produce, and you’ve got stable or declining products producing the most money. I really do believe the future of our business will depend on a membership or subscriber model. Ticker: And what would be a burning global issue you see from your vantage point? Goldberg: Really many of the issues we’ve covered for 130 years are incredibly relevant today: the environment, climate change, species preservation, issues of human culture - like the refugee crisis, for example. Ticker: And how has the recent American political scene changed your role or what you cover? Goldberg: We don’t cover politics. It’s interesting; for example with the story of the EPA, we’re not the news organization covering the scandal with [former EPA Administrator] Scott Pruitt, but when the EPA changes policy or rolls back the Clean Air Act, we will not cover it through the political lens, but the outcome. What will it mean for climate change? That’s the story for us to cover. So we would cover those stories no matter which way the politics go; we analyze what it’s going to mean in your country and life and community…what happens to the landscape and wildlife and the people. Goldberg: Yes, I was born and grew up in Ann Arbor. My father was a professor at U of M, and my mother was a librarian there. Ticker: But you didn’t attend U of M…? Goldberg: I had spent my first 17 years there and I had to get out of town. It was the 1970s and it was a much smaller town then. I needed to get away from my parents, so I went to Michigan State, which I knew had a great journalism school and I had always known I wanted to be in journalism. Ticker: And I read that you’ve said that northern Michigan is a place you love and will always return to? Goldberg: Oh, yes. When I was a kid we vacationed up there quite a bit, and I’ve spent even more time there in recent years because my husband has a first cousin who has a beautiful home in Bay View, right on Lake Michigan near Petoskey, so we spend every July 4 up there. It’s so magical. I really love coming. Goldberg: I’m delighted to be doing it. I’ll be talking about storytelling at National Geographic, and how we are trying to move from a reverence for the brand to the relevance of what we’re covering now, taking stories from the printed page of the magazine and using all sorts of digital and social platforms as possible, and how we’re reinventing content for the various platforms. For example, we’ve got a very different audience on Snap than those reading the printed magazine, so how do we present content in a way that they’re going to connect with. Ticker: Is there anything you feel like you have to do or see or taste whenever you visit northern Michigan? Goldberg: Well, I love the smoked whitefish dip! I can’t really explain it, but when I come to northern Michigan, it’s a switch in my head that clicks a little bit. I take a deep breath and get a sense of deep relaxation I don’t feel anywhere else in the world, and that’s why we go over and over again. National Geographic magazine editor Susan Goldberg will kick off the 25th season for the International Affairs Forum at 7pm on Thursday, Sept. 20 at Interlochen Center for the Arts' Corson Auditorium.